The Early Years Foundation Stage is a two-year phase which consists of Foundation Stage One (FS1) and Foundation Stage Two (FS2).Each year group have both a dedicated indoor and outside learning environment, offering the children a well-equipped range of learning opportunities; sand, water, construction, role play, creative area and investigative play. The classrooms are interactive showcasing purposeful displays of the children’s learning linked to the topic they are exploring whilst also offering an Interactive White Board to support in the children learning and discovery. Class size does not exceed 18, where possible, with each class being run by a class teacher and a teaching assistant to support the teachers in the delivery of the EYFS curriculum. At SVS within the EYFS we also offer lessons taught by specialist teachers who deliver the programme for Music, Arabic, French and PE. Children follow the Early Years Foundation Stage curriculum (EYFS), the EYFS is based around seven areas of learning with the emphasis on engaging the children in first-hand learning experiences with a very strong emphasis on play and early communication skills. The teachers plan a selection of activities to stimulate and encourage children’s development throughout the key aspects within seven areas of learning development. The weekly plan stems from the children’s interest and links to the topic being explored which is determined via the observations made by the teacher which highlight activities which are child initiated. 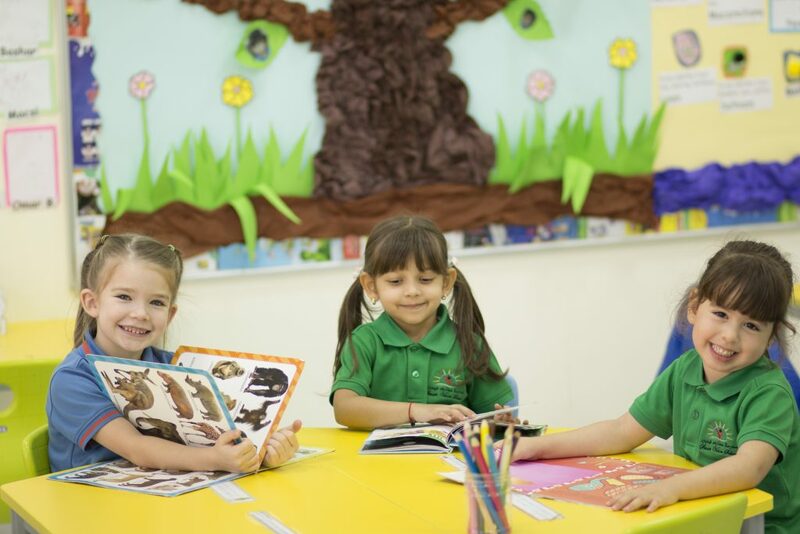 Progression is achieved within the seven areas of learning development through offering teaching and learning which is child-centred and initiated, supported by teacher-led activities to support the learning. The individual needs of each child is key to the success in their development throughout the EYFS and is taken into account in both the setup of classrooms and the planning by the teacher of activities. We believe that children must have the opportunity to explore and investigate through play both indoors and outdoors and that the children have a great sense of independence in their learning, from choosing what they play with to being the key to teachers planning what topic they will explore next.